I've been working on my grandparents' farm to pay off a car, leaving me stuck on mobile with poor connection. I decided to take a break from the project both because I needed to focus on the farm and because I didn't want to bother trying to manage the project from an iphone. Infinite thanks to Arya10 and Zeditha for keeping things running so smoothly! Seriously, it was wonderful to see the project doing so well on its own. Now that I've returned I'll get back to breeding my pairs and setting up the Blackfyre lineage. Also, welcome to everyone that joined while I was gone! Sorry I couldn't meet you all sooner. What if we started sending weekly activity PMs, specifically to all the people listed as inactive. Because, honestly, since there's no setup on here to check threads you've replied to, then it can e hard to know what you're a part of if you don't reply. It could be something like: 'Hello! Recently you have decided to take part in the Rise of the Targaryens lineage, however, you have been inactive as of late. We would like to inquire if you are still interested, or would like to be removed. Please reply as soon as time is allowed. In addition, I'd also like to suggest a 'contest' in that, the individual who breeds the most Targaryen's in a given span of time (A month or so) gets a reward. I'd really like to promote activity. Well for starters the Targaryens will greatly reward those who help them in their quest to rule the Cave. But if you don't want to wait that long, there's something else too. The owner of the most Targaryens at the end of each month will receive a 3rd gen pillow thuwed from a perfect checker, a pair of 2nd gen Targaryens (who will no longer be available to the public after a certain point) and any other dragons that people are kind enough to donate. If you'd like to add to the rewards, don't hesitate to post or PM a mod! Your version is a lot easier and fairer to newbies, though, so I'll change the official rules to those momentarily. Thank you for the input! Also, since it's largely been ignored and is basically just another thing to update, should we get rid of the Natural Born list? I'm leaving this up to a vote. Alright, on to the Blackfyres. The first Blackfyre has been born! That's right, the Blackfyre house has finally been created. The first egg can be found here. Aegon is clearly not going to be happy about this and in Game of Thrones the Blackfyres were known for trying to overthrow the Targaryens, so we have several choices. I'm leaving this up to a vote, so I'd appreciate it if you guys commented which number you prefer. An explanation would be nice, but it isn't necessary. They have their own, separate lists and stuff, but are otherwise treated as regular Targaryens. Their aim is to dominate and overthrow the Targaryen lineage, but with the headstart that the regular Bloodscales have, there isn't much chance of dwarfing them. Instead, the Blackfyres want to pollute the 'pure' Targaryen blood with their own - they want to mix the Blackfyre Hooktalon breed with the Targaryen Bloodscale breed. The higher the gen, the more 'pure' the blood of either line. Basically, Blackfyres want to have as many of their line as possible who also have Targaryens in their line. Blackfyres want to breed with Targaryens and have the offspring be Hooktalons - should be easy, for a while at least, until their ratios catch up. The Targaryens' aim is simply to have as many Targaryens around as possible, and if that means breeding with a Blackfyre to create a Bloodscale egg, that's cool too. Blackblood/Targaryen = either Hookfang or Bloodscale. I'd like to take part of the Blackfyre lineage too! I don't understand very well the points system so far but I suppose I will as we go along. By the way, I haven't read the whole topic but I guess there would be (or there is) some way to monitor how many Targaryens and Blackfyres are out there, right? So we know which house is winning at the time. I was thinking there'd be something like that at the top or bottom of the Blackfyre post, but instead of counting the number of dragons on each side it would count points (otherwise the Targaryens would have a huge advantage). If you want to know exactly how many Targaryens/Blackfyres there are you could check their respective spread sheets. I wish to join the Blackfyres!! Number of eggs: 2 please! The first page has been updated with info about the Blackfyres. Requests for them are now open. I wish to fight with the Blackfyres! ﻿I wish to announce a new Targaryen! *You can take me off this list now. ﻿I wish to fight with the Blackfyres! Number of eggs: (1 or 2) 2, preferably siblings, please! The Prince and Princess wish to help! How you would like to be contacted: PM would be the fastest way, but on the thread works too. **Thanks a lot, Cinnamin Draconna! I wish to request another Targaryen! I tried sending PM to Tigerkralle, but it was not able to send due to inbox full. Okay , the next egg from them is yours! I am still around, just not as active on the forums. I absolutely answer PMs! I will be naming and registering here the little dragon as soon as it hatchies. Sorry Grammydragon i even used a Purple's BSA on of them but Heahra and Uhmoz Targaryen have better things to do then producing descendants. Aaaah, well patience is a virtue so guess I will just learn to be patient. about writing Game of Thrones and origin of the Targaryens. 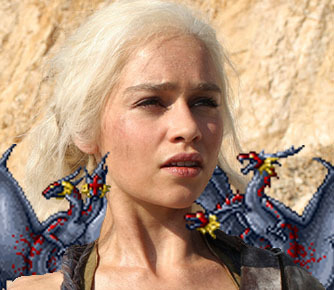 I wish to fight with the Targaryens! Argh my two 4th Gens refused each other. Go ask the breeder for a new egg. 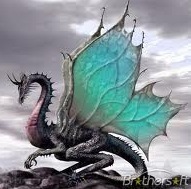 If i am a breeder from one of your dragons i rebreed the pair for you. To be honest i really don't know where are the eggs from my dragons went. If someone wants a sibling please ask in this thread again for an egg. Is a person allowed to have both Targaryens and Blackfyres on their scroll? I think yes. Otherwie a lot of people have a problem including Avarule. I am one of the persons who joined early onto this project back when we used the old thread and was able to request a 2nd gen from Queen Visenya Targaryen. Weird grammar? I am not a native speaker in English.